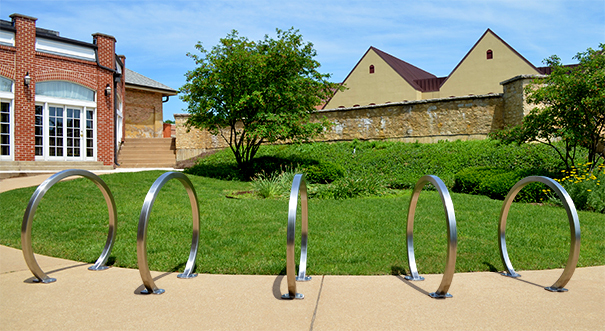 The distinctive square lines of this imported bike rack provide an innovative look that will catch attention. This bike rack is constructed of 2"O.D. steel square tubing. A single unit allows for two bikes to be parked and secured. These racks give you the option to create your own bike parking lot wherever you see fit by placing multiple racks in succession. 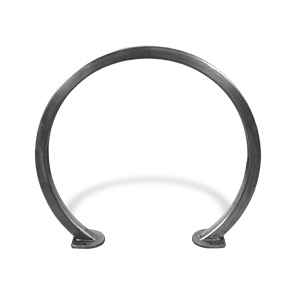 The base flanges feature a sealed design to prevent entrance of unwanted moisture and insects into the tubing.